Seen plenty on this topic in other forums. Let's see if I understand this right. GT40 can handle rpms with their springs (but upgrades are nice) BUT if you are going to port them they have more meat than the "P" heads to work with. Ported E7's flow better than stock GT40 or GT40P, but that's about all. Any decent brand aluminum head out flows any of the iron choices. GT40P heads have a different plug angle as compared to E7, GT40 and most (all??) other 5.0 heads. That means that most exhaust manifolds/headers have a plug and/or wire clearance issue with the P's. One notable exception is the Torque Monster brand. These were designed from the beginning to clear both the GT40P and GT40 plug angles so they would fit all OE Explorer heads. As stated, the p heads are different in that they have different plugs, and require "P" specific headers. I've done a GT40P motor and a GT40 motor, both in mustangs, so header choices were more abundant. To get in this conversation late, I searched the web to find the E7 heads are reasonably priced. But iron heads make better low end torque... I do assume reworked iron heads, but none the less they may work better on the street. 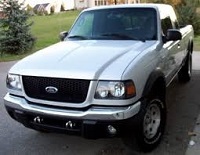 Most iron heads used to accept a Chevy 2.02 intake and a 1.60 exhaust... but things change. AND what about the 351W heads, anyone doing anything with them; Ford has them in the old Power Book ? An all around good head is the roush Windsor jr head. 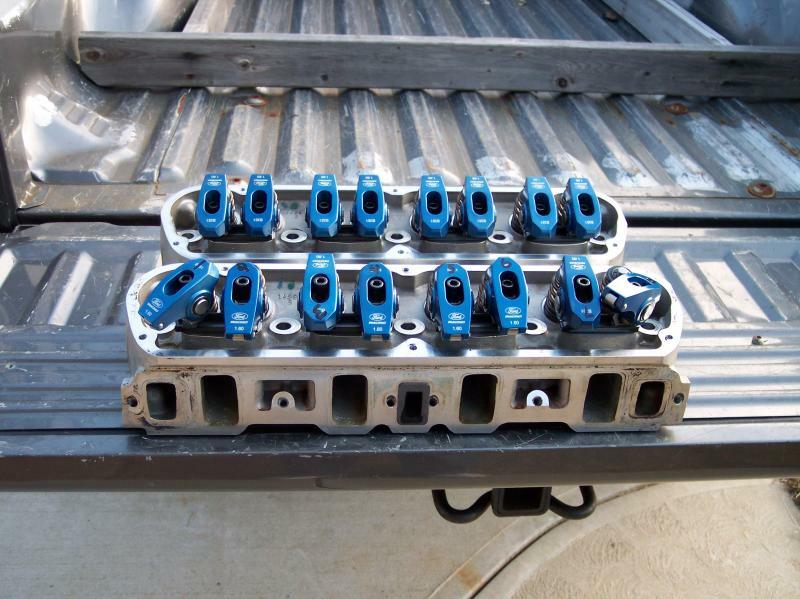 I am using M-6049-X306 cylinder heads w/Ford Racing 1.6 roller rockers, & a M-6250-B303 cam off of a new M-6007-X302B new Boss 302 crate motor on my 5.0 for my Mustang. I found out that the E7 Head IS the 351W Heads. (Pictures are good) ! When I did my first Stang, a '67 Fastback GT, I blew up the 390 that came in the car and went to a 289 Hipo, the 351W Heads I used, numbers unknown, were slightly ported on the exhaust side, had the 2.02/1.60 Chebby Valve and Roller Rockers, I'm thinking Crane or Insky, added a Crower Cam, Wham-Bam... a Chebby Killer. If I remember correctly, the 351W heads were the precursor of the GT40 heads and with a little work would flow as well if not better. Page processed in 0.1733 seconds (16% database + 84% PHP). 60 queries executed.